This morning I trained slalom ready for tomorrow's race. It is going to be a night slalom so I REALLY want to finish the first run so that I can get to race under the floodlights. I am going to be bib 73 (out of 88) so I expect the course to be very difficult by the time I get to go down. 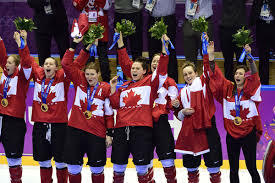 I watched a bit of the women's ice hockey final on TV before I went to bed. It was USA -v- Canada. My Mum and Dad and Victoria had tickets to see it so I was looking out for them on the TV but I didn't see them! The USA were leading 2-0 for most of the game so it was a bit of a shock (especially to the USA team) when Canada scored first in extra time and won 3-2!